Great power, great carnage ! To go with the theme of the changes that occur with Parker, Brock, and Kasady. Or to go with the addition of more spiders! Spiderman : Back in Black Expansion. With great power, comes great cards. Great power, great responsibility. But then have dark painted over the second great. So it then would be great power, dark responsibility. Because peter does loss it a bit in the black suit. 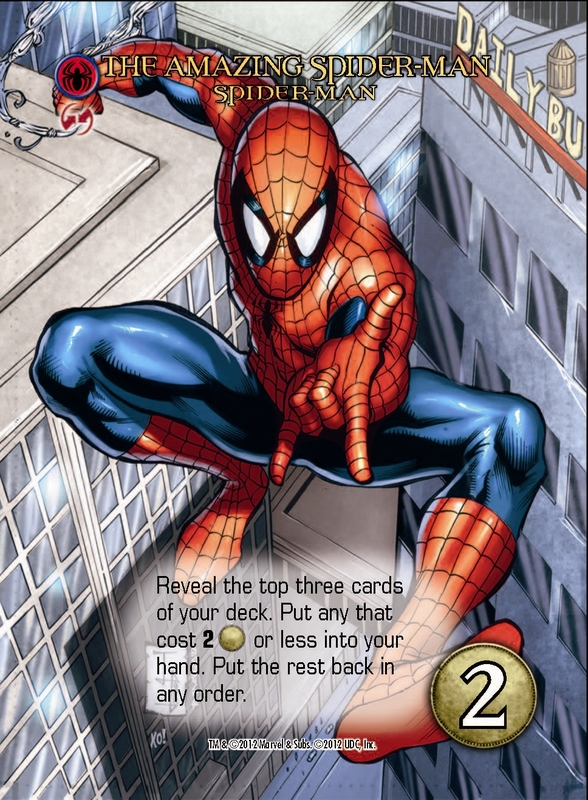 Marvel Legendary: Here’s Web In Your Eye(s). Thwip – Snap – Arrgh! 3) Legendary Spider-Man: Evolve or Die. 1: War of the spiders! The set can be called: “Spider-man: With Great Power comes Maximum Carnage”.